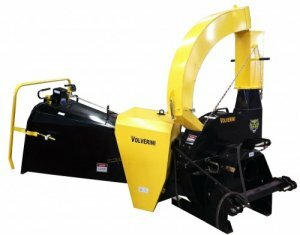 The AY series of woodchippers are tractor mounted PTO driven chippers. 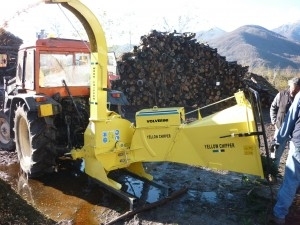 The AY400 can handle upto 10cm (4"), AY600 upto 15cm (6"), AY900 upto 21cm (9") and AY1000 upto 25cm (10") timber, they are ideal for use in logging, land clearance, orchards and gardens. The AY400 has a manual feed the AY600, AY900 & AY1000 have hydraulic feeds which requires no assistance from the operator. All have 360° rotating discharge chutes. They are designed to produce uniform chip size which is ideal for burning, animal bedding, landscaping and mulch, it can comfortably handle both softwood and hardwood, green or seasoned. 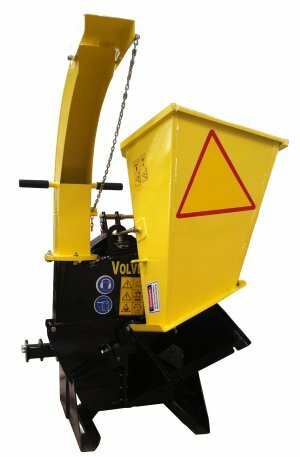 Options include an electric power unit for a static installation and a Bobcat style skid steer loader mount.